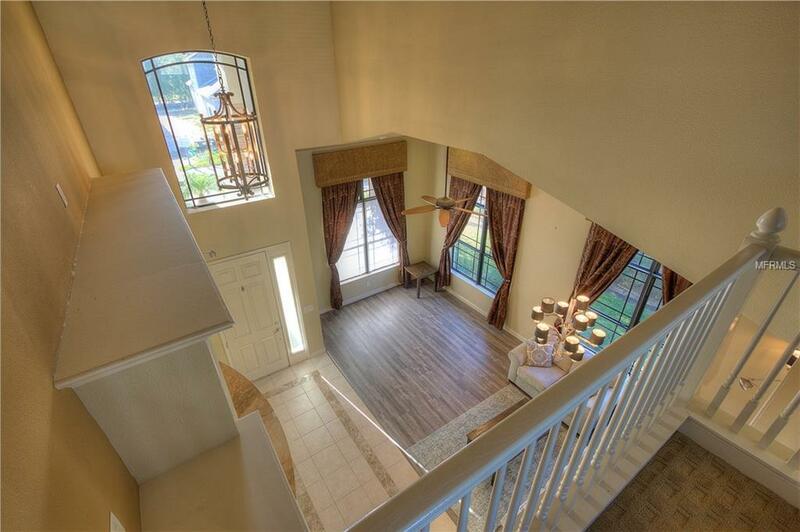 Welcome home to this lovely 2 story former model home located in Ryegrass Run at Cross Creek. 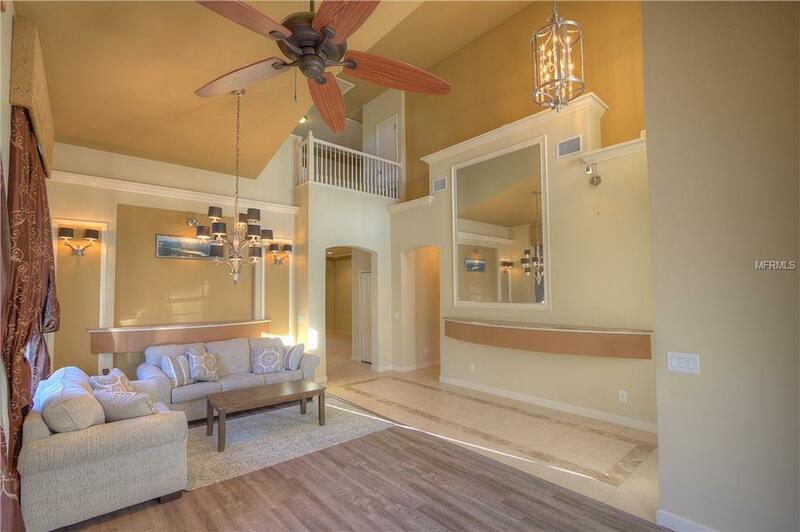 Upgrades galore, beginning with the tastefully adorned coffered ceilings, crown molding and trey ceilings. 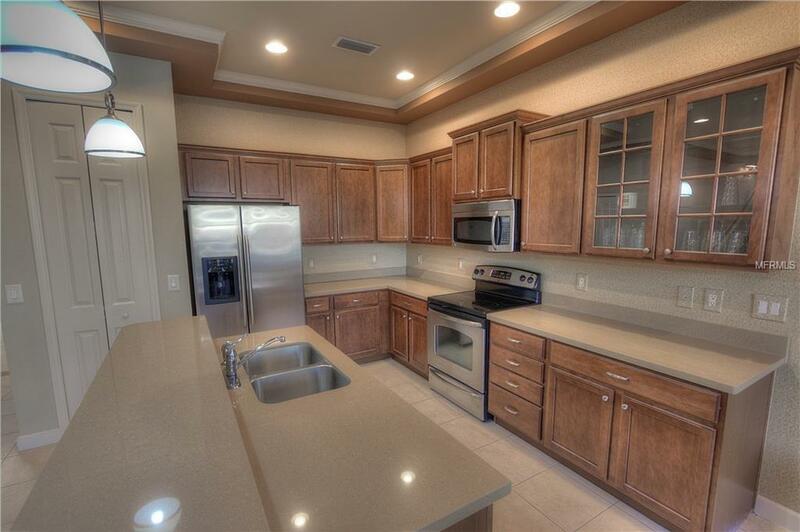 The kitchen includes upgraded wood cabinets, stone countertops and stainless appliances. Eat-in space in the kitchen includes bay window and seating. The master is tucked quietly away on the first floor with a spacious master bath and huge walk in closet. The downstairs even includes a quiet den and a bath! Upstairs you will find two additional bedrooms, both professionally decorated and a loft housing two built in offices overlooking this immaculate home. All windows are professionally decorated and come with the home. 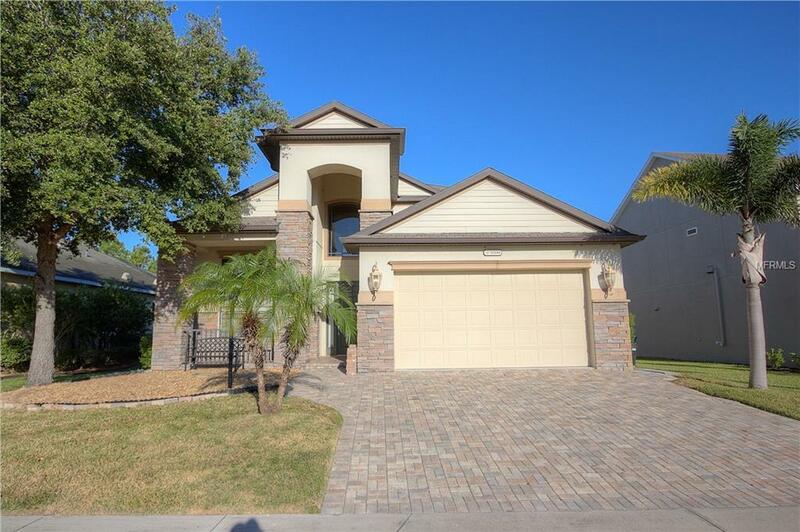 Outdoors include brick paver patio, outdoor kitchen area with grill and a peaceful screened lanai! Paver driveway, Cross Creek is a 694 acre master-planned community, 59% of which is open space. Amenities include a centralized community center featuring an outdoor club room with an adjacent service kitchen and a outdoor covered pavilion, a resort-style pool with water features including a play area and slide; an outdoor amphitheater; a dog park.